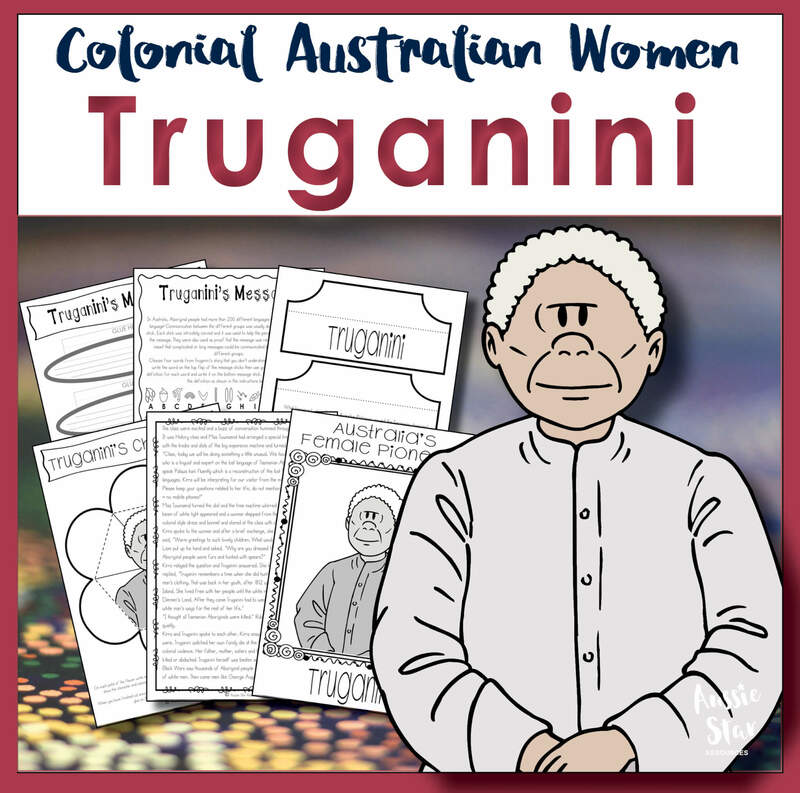 Truganini is known as Australia’s last Tasmanian Aboriginal person and she was a brave and determined woman who suffered great hardship. 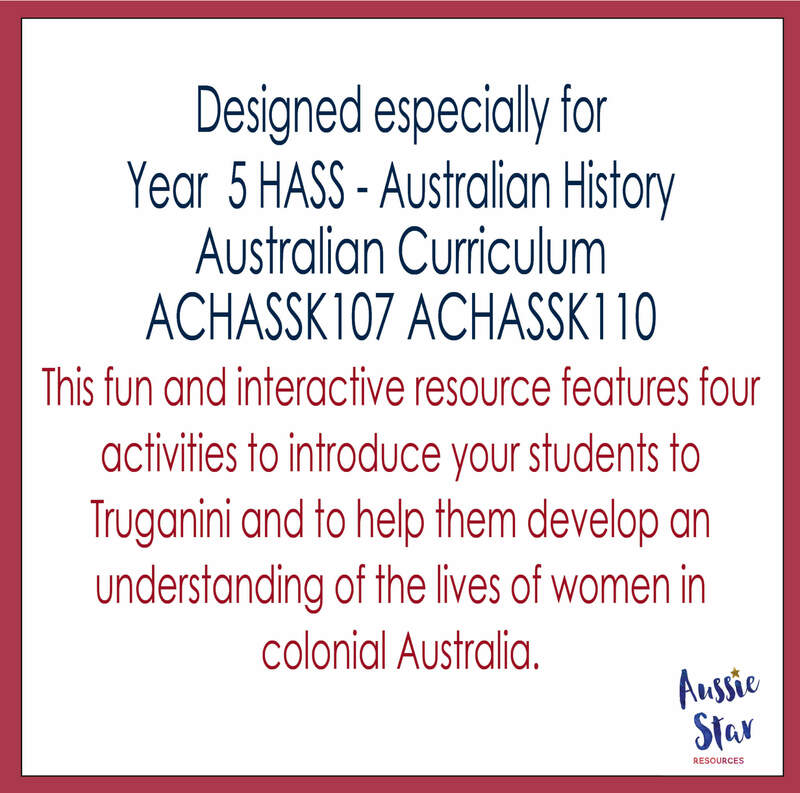 Her life in Colonial Australia was very tough and this resource pack features four activities to introduce your students to Truganini and her experiences. 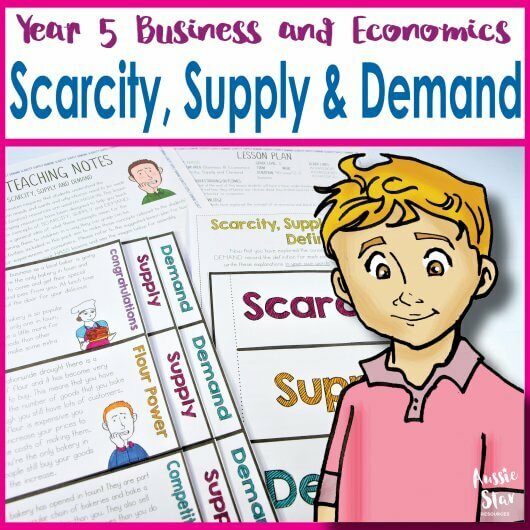 Miss Townsend isn’t your average teacher. 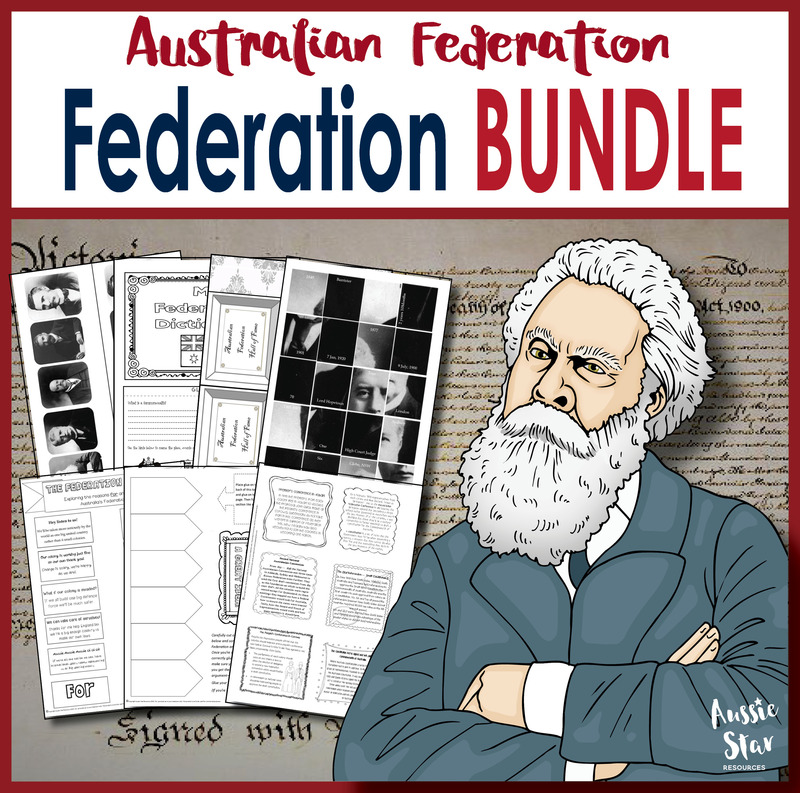 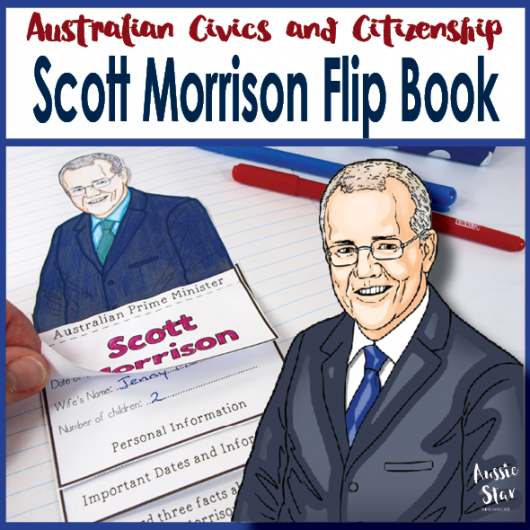 She ensures her students are totally engaged in her lessons by transporting famous Australians to her classroom for the students to interview and learn from. 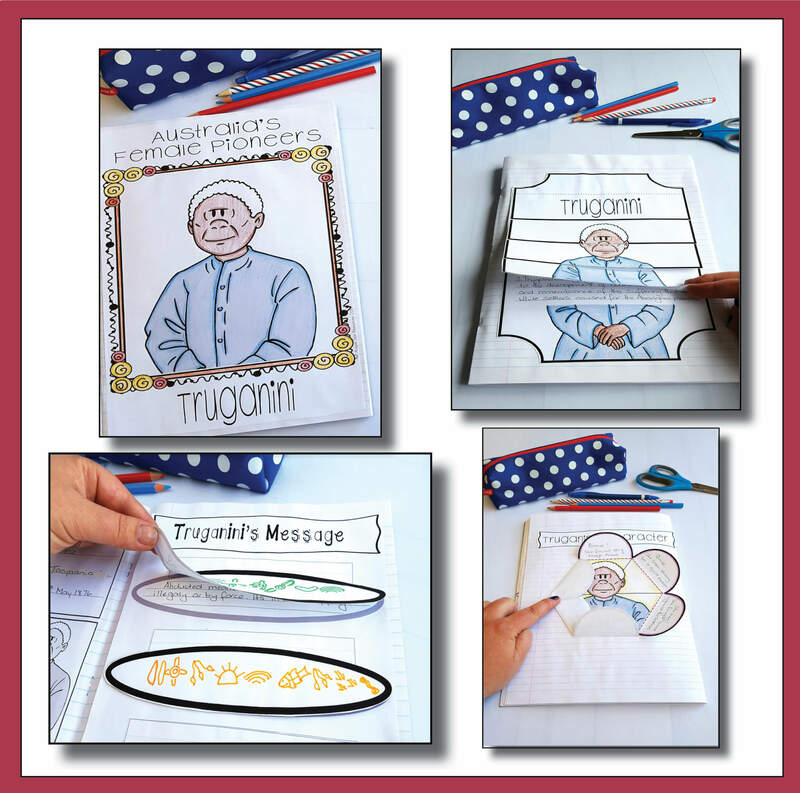 Truganini is one of these special visitors and your students will be as engaged as Miss Townsend’s by her story. 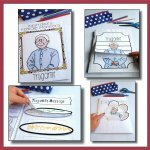 This lesson and its activities have been created to help you meet the Australian Curriculum achievement standard outcome for Year 5 requiring that students “The nature of convict or colonial presence, including the factors that influenced patterns of development, aspects of the daily life of the inhabitants (including Aboriginal Peoples and Torres Strait Islander Peoples)”. 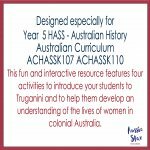 (ACARA 2017) Content descriptor ACHASSK107 requires that students investigate colonial life to discover what it was like for inhabitants including Aboriginal people. 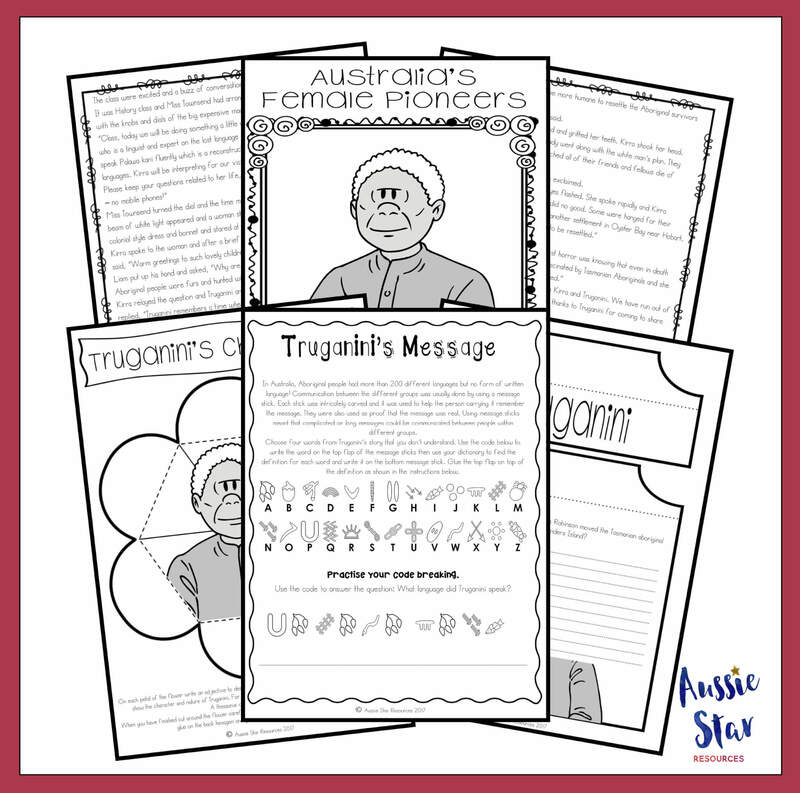 Truganini’s story is a great way for students to explore and discuss this topic.